Pescatarians, rejoice! Now, there's a way for you to coordinate your shopping habits with your diet. 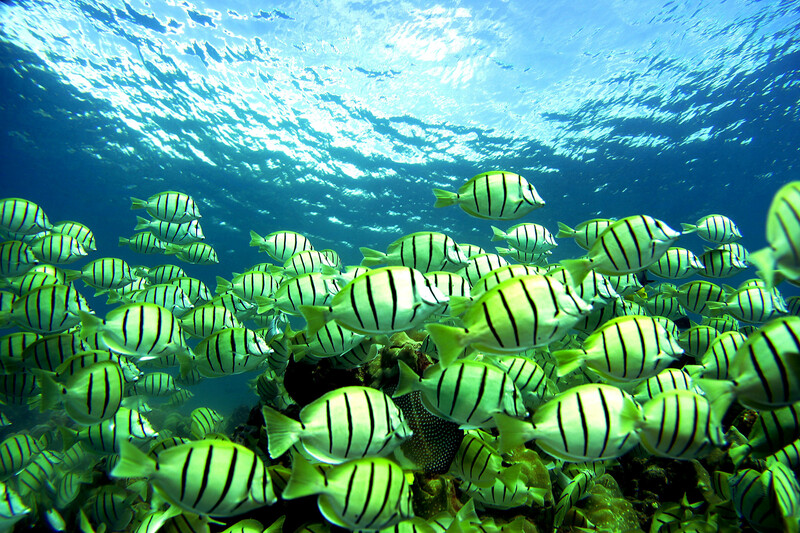 Fish leather may become more widely used as a sustainable alternative to classic leather. Don't worry, though. As far as I've heard, it doesn't smell like fish. According to The Guardian, companies like Dior, Nike, Puma, Ferragamo, and Prada are experimenting more with fish leather. Each year, millions of tons of fish skin are discarded or formed into a paste to feed animals, but a handful of European companies convert these skins into textiles. Historically, fish leather has reportedly been used by low-income individuals who couldn't typically afford regular leather. Laura Storm of the Atlantic Leather (an Icelandic Fish Company) hailed the fish leather trend as an "old technique being resurrected as a modern solution" with all the brands that have been reaching out. By layering these skins on top of one another, these tanneries create a soft, leather-like alternative that feels similar to calfskin. Not only is this material high in quality and reasonable in cost, it has worldwide ecological and economic benefits. In the long term, fish leather production would create jobs, reduce CO2 levels, and keep the prices of cow leather down. As The Guardian says, however, the cost of this green alternative to classic leather is high. This is owed largely to the fact that this leather alternative is being used by high-end companies and sought out by fashion industry insiders. According to Malou Koldenhof, the co-owner of "The Fish Leather Company," the primary demographic interested in fish leather is made up of "art and fashion students." I can't say that the whole idea of fashion colonizing something historically used by economically disadvantaged people sounds all that progressive. But a diminished carbon footprint, more jobs, and a reduction in waste are all great things. All in all, considering the long-term economic and ecological effects, this weeks like a promising trend.